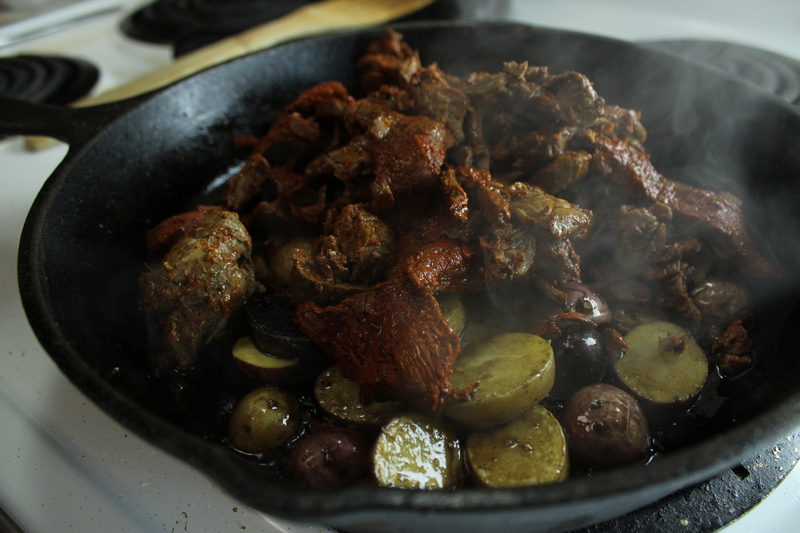 Sous Vide Breakfast Beef Birria. Say that 5 times! 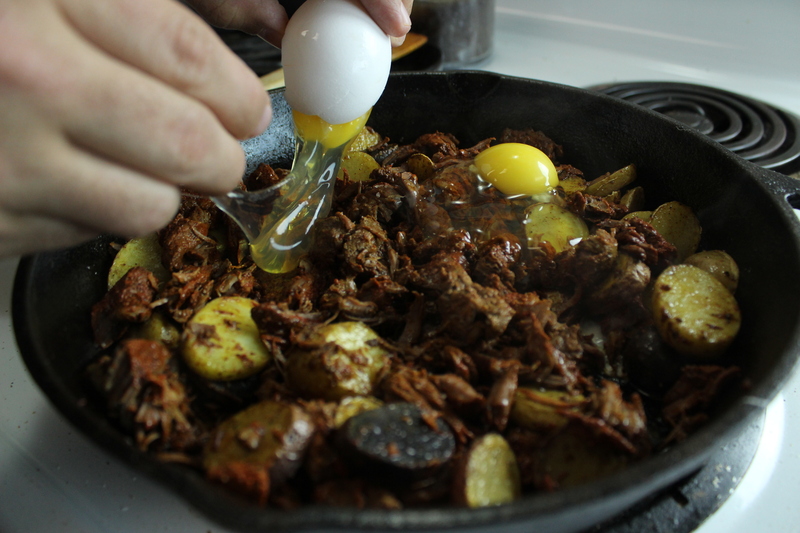 This beautiful dish features fingerling potatoes, shredded beef and broiled eggs. Cover it with some green chile sauce and you're in heaven. 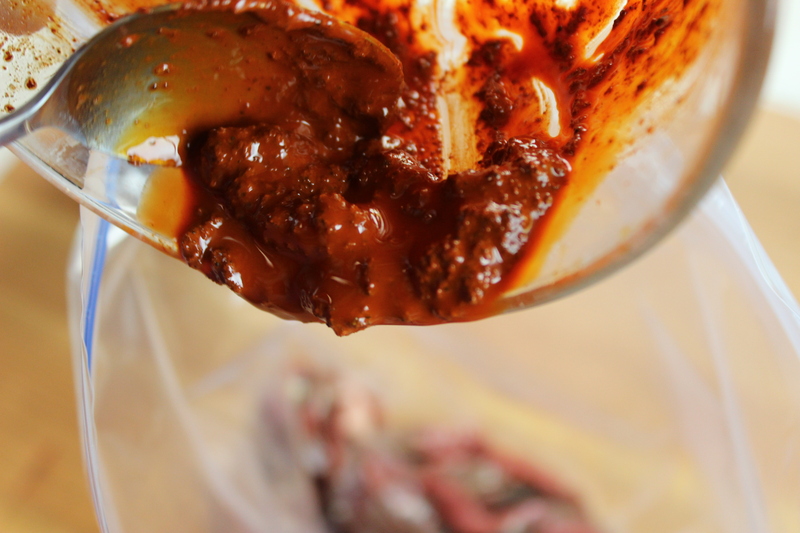 In a small bowl, combine achiote paste, 1 tablespoon olive oil, and vinegar. 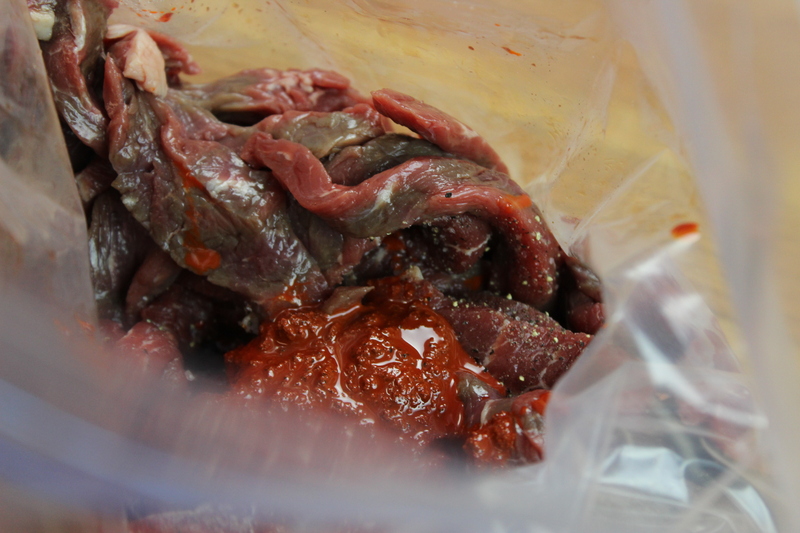 Combine skirt steak and achiote mixture in a large zipper lock bag. Seal the bag using the water immersion technique. 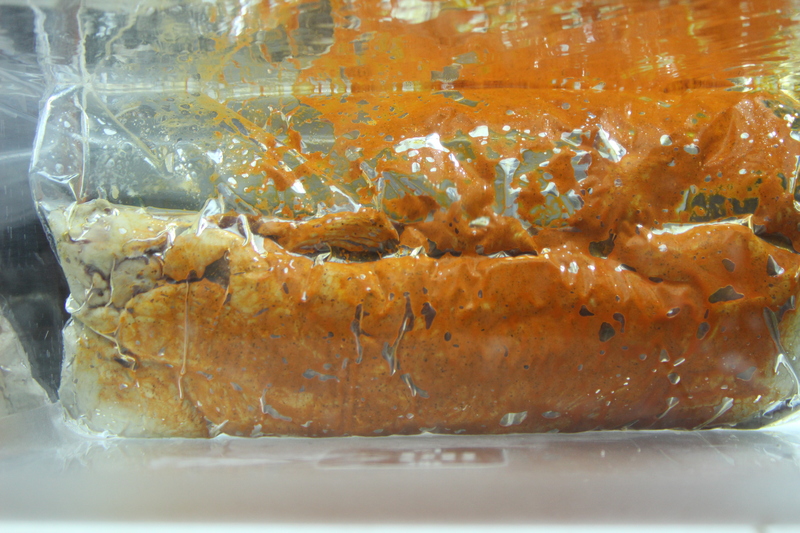 Place the bag in the water bath and set the timer for 13 hours. About 15 minutes before the skirt steak is finished, heat remaining tablespoon oil in a large cast iron skillet over medium high heat. 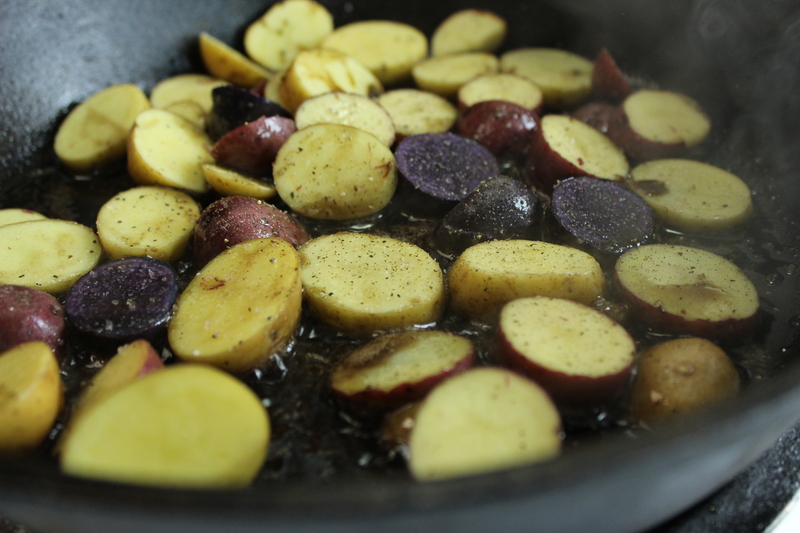 When the oil is shimmering, add the potatoes and cook, stirring occasionally, until tender, about 15 minutes. Remove from the heat. When the timer goes off, remove the bag from the water bath. 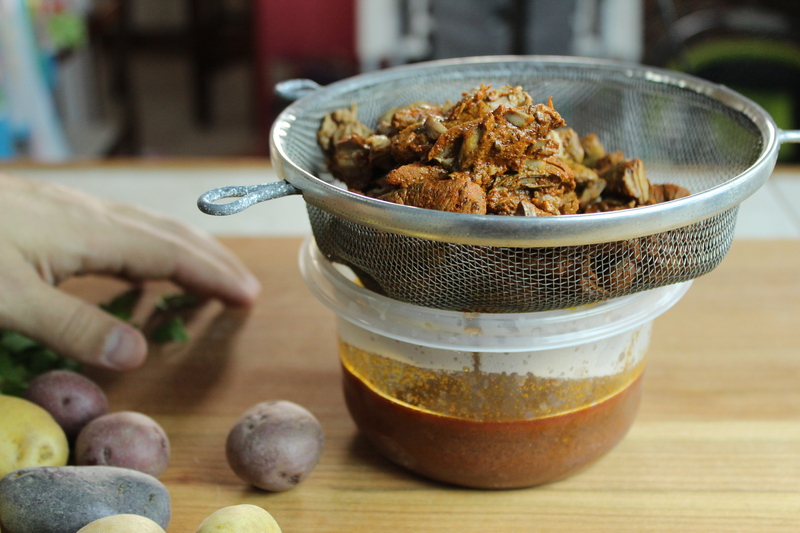 Strain the entire contents of the bag through a fine mesh strainer set over a medium bowl. Reserve the sauce. Shred the birra into bite-sized pieces. Add the shredded birra and 2 tablespoons of the reserved sauce. Stir to combine. Heat the broiler to high. Make 5 indentations in the birra and potato mixture. Crack 1 egg into each indentation. Broil until the egg whites are cooked and the yolks are runny, about 5 minutes. Season with salt and pepper. 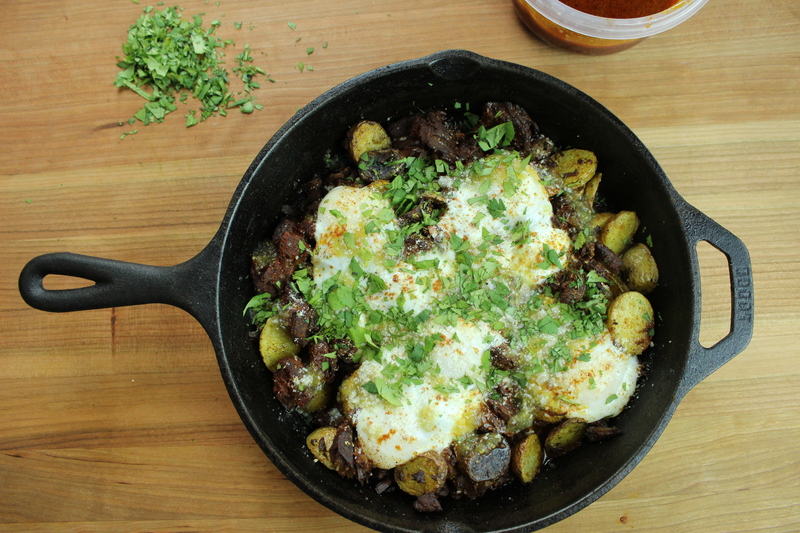 Garnish with cilanro, cojita, and chile verde sauce. Serve.